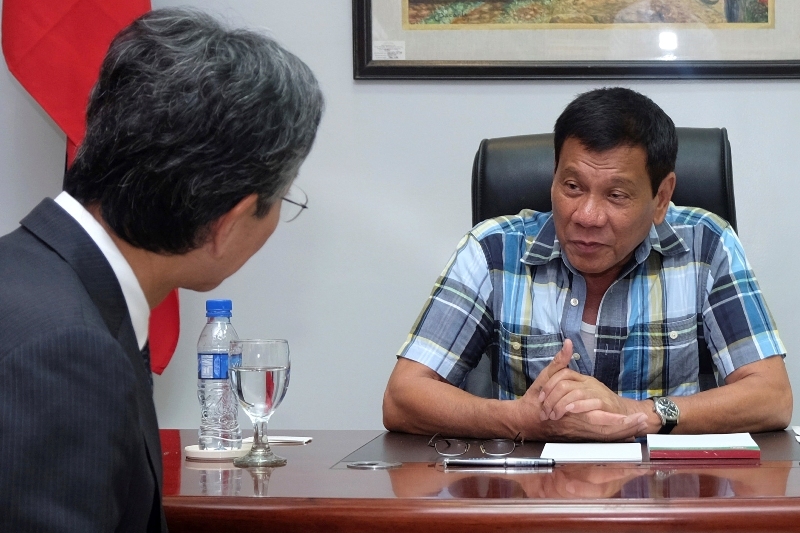 MANILA, Philippines - Japan has committed to provide a fund of up to 38,200,000 yen (about P16.42 million) for the improvement of the government television station (PTV-4). Japanese Ambassador Kazuhide Ishikawa and Secretary of Foreign Affairs Jose Rene Almendras signed on Friday (17 June 2016) the Cultural Grant Aid for the improvement of government’s People’s Television Network (PTV-4) and its programs. The grant aid will cover the acquisition of programs produced by NHK, Japan’s public broadcaster, and deemed relevant and interesting for Filipino viewers of all ages. The project aims to expand and broaden the range of PTV-4’s educational and cultural content and foreign programming, with an eye to transition to digital terrestrial broadcasting. Over 167 documentaries and 522 shows have been selected to help introduce Japanese culture, educate on disaster preparedness and deepen understanding of human condition, among others. In 2013, the Philippines adopted the Japanese digital TV standard or Integrated Services Digital Broadcasting-Terrestrial (ISDB-T), becoming the first ASEAN country to do so. In the Japan-Philippines Joint Declaration issued last June 4, 2015, the Japanese and the Philippine governments stated that both countries would advance other important cooperation on terrestrial digital broadcasting using ISDB-T. He would tap the state-owned television station for his press releases and interviews. President-elect Rodrigo Duterte said.